Around 1943. 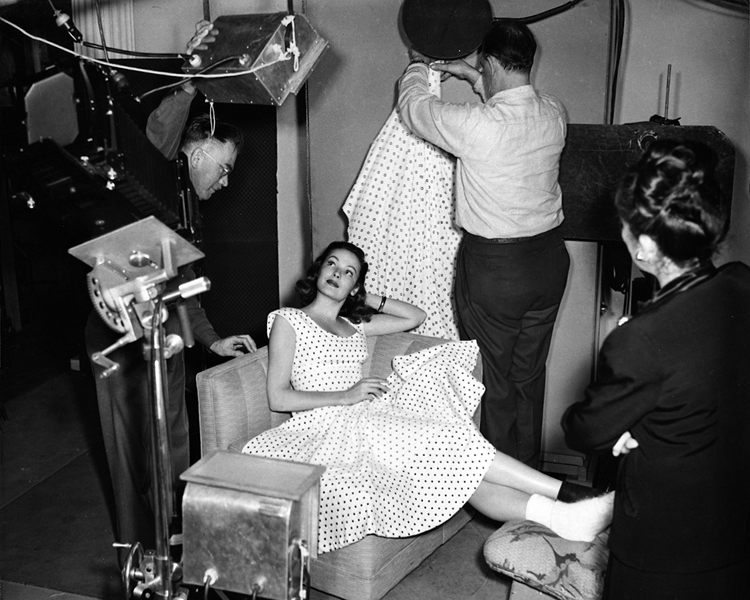 Frank Powolny arranges the lighting for a portrait session with Gene Tierney. As chief portrait and still photographer at Twentieth Century-Fox from 1923 to 1966, Powolny captured thousands of stars and starlets in studio and action photos. His most famous shot was THE World War II pin-up of Betty Grable. Less well-known is that one of his shots formed the basis for the portrait of Laura in Gene Tierney’s most celebrated movie.